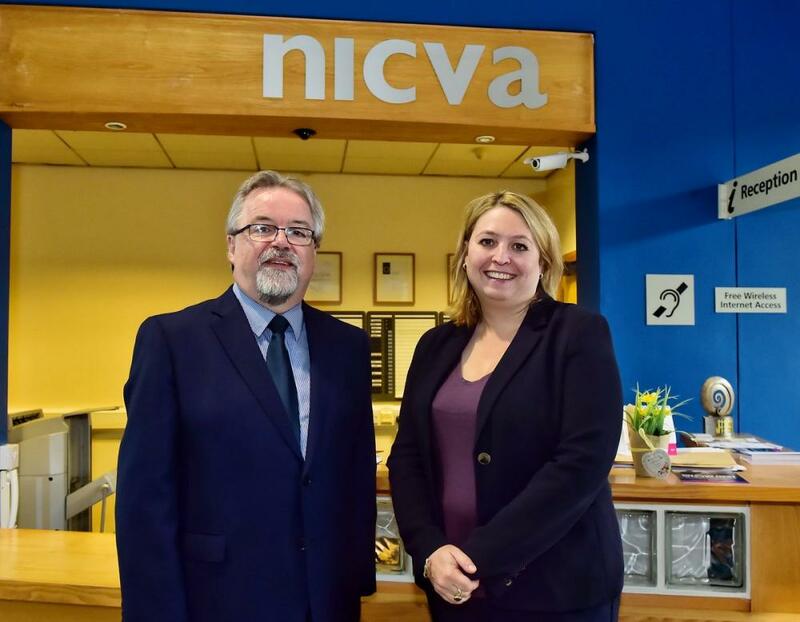 She met NICVA Chair Marie Cavanagh, Vice Chair Peter McBride, Chief Executive Seamus McAleavey, Deputy Chief Executive Una McKernan and Head of Policy Geoff Nuttall. Most of the discussion focussed on the current political situation and its effect on organisations in the voluntary and community sector delivering services with government with a resultant funding relationship. NICVA spelt out its position that the best solution was a return to a working Assembly and Executive committed to an agreed Programme for Government and with the dedication and focus to deliver it. The current lack of strategic decision-making at a political level meant that real damage was being done to public services, with short-term budget arrangements and government departments tied to Ministerial decisions taken two years or more previously. If devolution cannot be restored quickly then NICVA’s view was the Secretary of State had to put a clear decision-making process in place. Not to do that would mean that all services are likely to run down and the financial viability of partner organisations in the voluntary and community sector would be completely undermined. The Secretary of State reiterated her position that her key priority was a return to devolution as the only viable long-term option for government in Northern Ireland. She also highlighted her intension to tackle the current state of stasis and ensure that all necessary operational decisions can be dealt with affectively, not being confused with policy matters which are the proper preserve of elected politicians and Ministers. There was also a discussion on Brexit with the Secretary of State strongly supportive of the Prime Minister’s Chequers plan. Before leaving NICVA Karen Bradley joined Action Cancer staff holding an event in the downstairs Conference Rooms chatting with representatives during their coffee break.